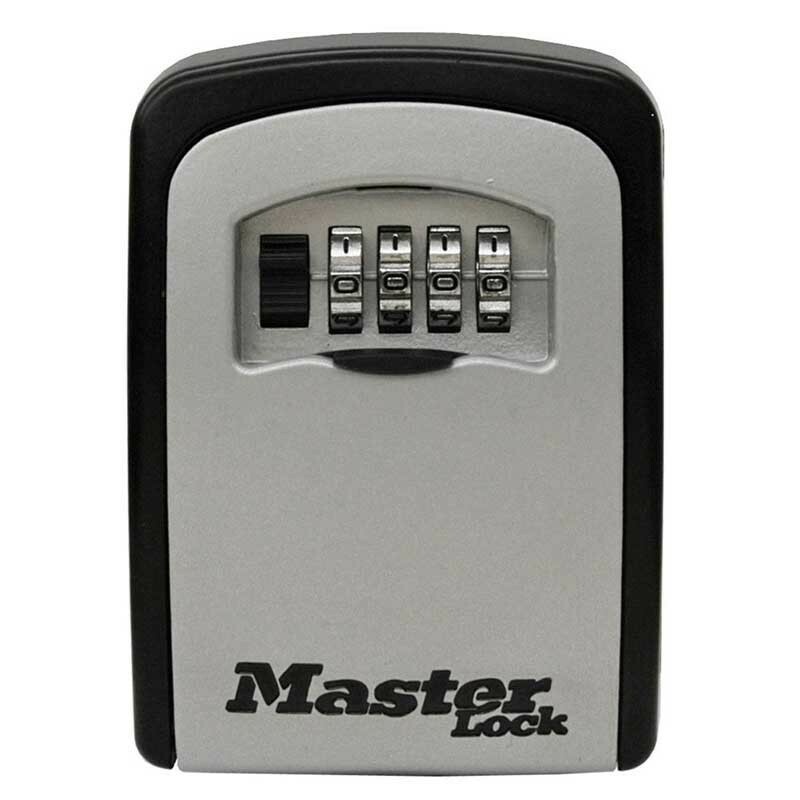 The Master Lock 5401D Key Safe features a 3-1/4" (83mm) wide metal body for durability. The wall mount design offers permanent installation. Set your own 4-digit combination for key-less convenience and increased security. The shutter door protects combination dials from weather, dirt and grime; and molded body and vinyl coated shackle prevent scratching. Its large internal cavity prevents jamming, even when holding multiple keys.